Battle Creek Thermophore Arthritis Pad uses the natural moisture in the air and then turns it into moist heat with a flip of a switch. 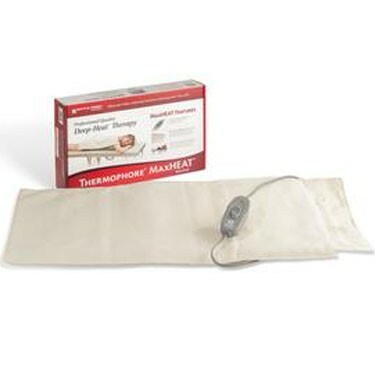 Provides a higher level of heat than normal heat pads and is designed to help arthritis patients. It is perfect for helping to relieve arthritis pain, fibromyalgia, atrophied muscles, and other similar conditions. Dimensions 14" x 27"
I haven't used the heating pad yet, however I have wanted one for years. It looks like a really nice one!